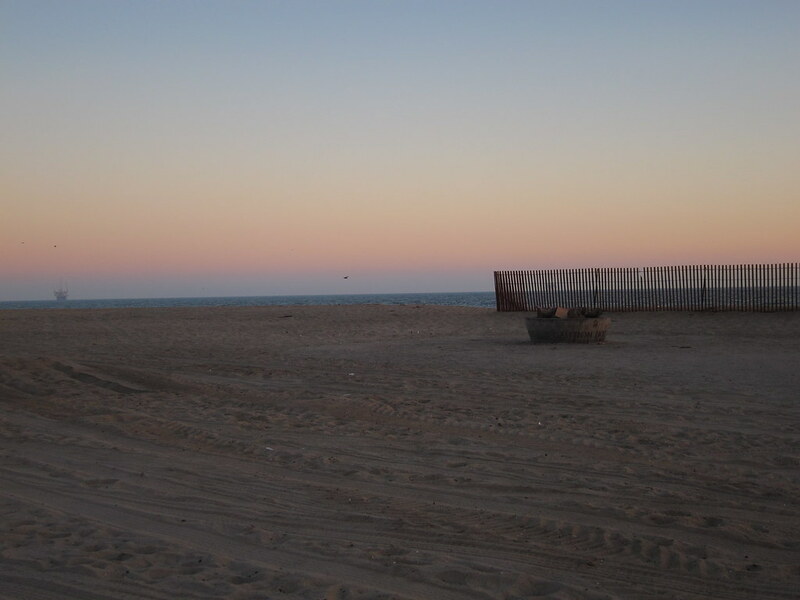 The Green Girl went for a run at Bolsa Chica State Beach last night. 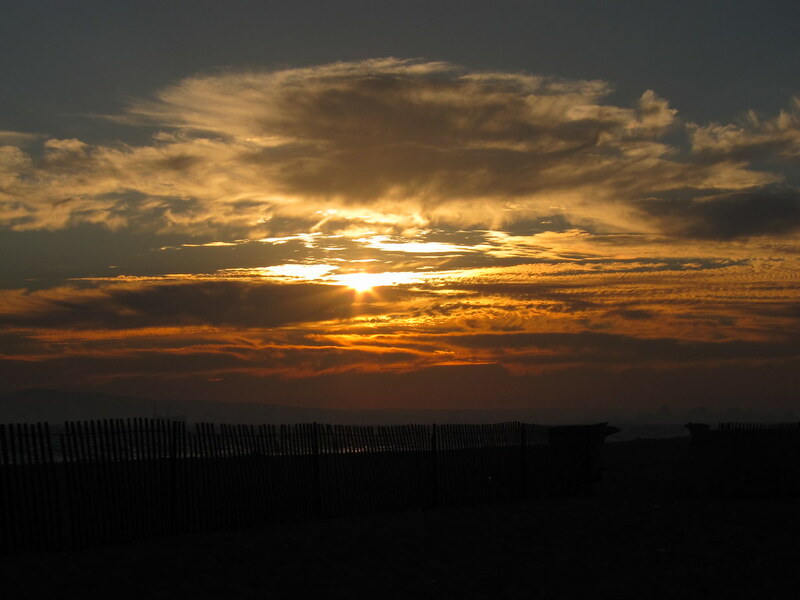 Bolsa Chica State Beach is known for its year-round surfing, bonfire pits, RV camping, and bare-handed grunion fishing. The cement fire pits are on a first-come, first-served basis and beach goers will stake their claim early in the day. Unfortunately for me, the wind was blowing all of the smoke from the bonfires in my direction last night and I ended up having to cut my run short. I had no idea the fumes from the bonfires would make me so nauseous. It was so bad that breathing through my mouth didn't offer any relief. I had to stop multiple times in stretches without fires to get some fresh air. Folded over, I'd concentrate on not puking all over the bike path. At each break, once I'd managed to settle my stomach, I stood up and took some time to admire the beautiful sunset before I continued running. Even today, my stomach feels uneasy. I guess I just inhaled too much smoke as I was running. Sorry all that smoke non-sense got in your way! At least you snapped some sweet shots! Wow. Those are some beautiful sunset pictures. Sorry about the smoke. Maybe next time you can try across the street in the wetlands? And - if you've never fished for grunion before, I highly recommend it. Tom o' fun! 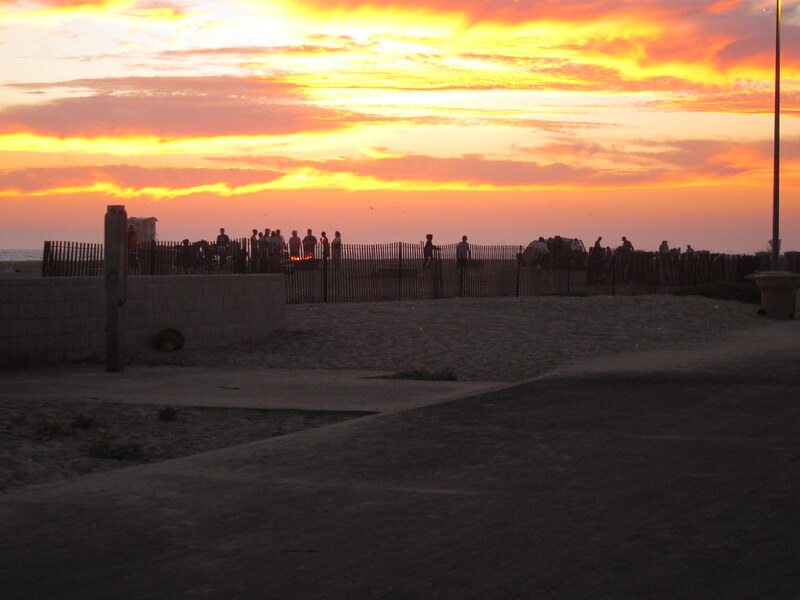 Thank you, Rad Runner Girl, Runners Fuel, Jill, Glenn, and WannabeRunner, for the compliments on my Bolsa Chica pictures. Glenn, I considered running across the street but it had already gotten pretty dark and I felt it was safest to just stick to the path - despite the smoke. Thank you, Leah B. Yeah, I'm going to stick to non-bonfire beaches for night runs. Oh yeah, smoking and running don't mix. One of my favorite memories from growing up in HB - grunion fishing, usually in the early hours around midnight, the beach full of families. I'm pretty squeamish so I don't know if I could do the whole grunion fishing thing. But I'll make a point to at least witness it as some point. Gorgeous pics! Sounds like it would have been a rave run, had it not been for the smoke. very beautiful pics and looks like a cool place to go. sorry the smoke bothered you and made your run tough. Thank you, Natalia and Dragonfly. The sky looked almost magical last night. Patrick, I've definitely learned my lesson. No more bonfire running for me. Heh. I'm hesitant to run the wetlands at night, though. I agree with everyone, those are some beautiful pictures. The one on the bottom is my favorite. Crazy about the smoke but the sunset pics are beautiful.